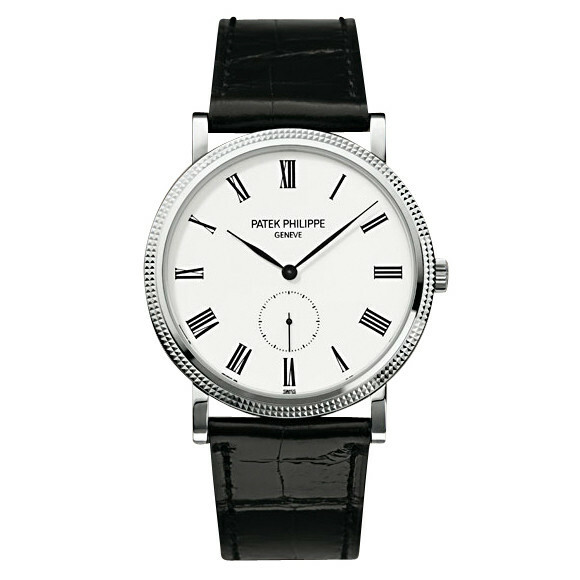 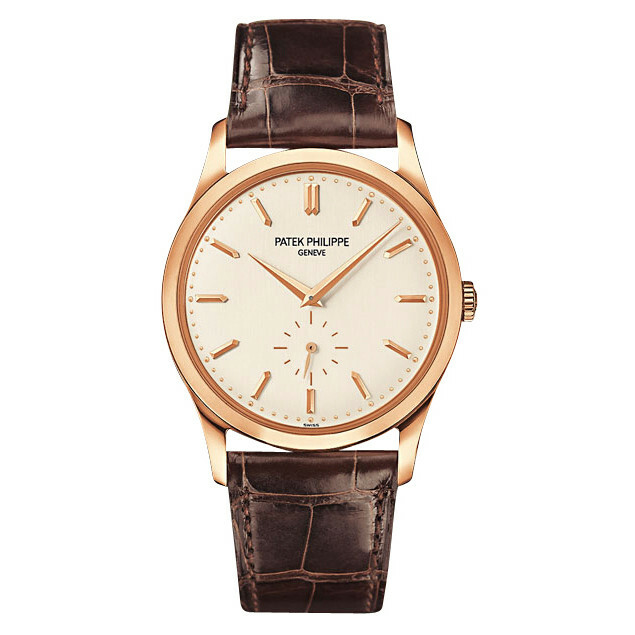 This Patek Philippe Calatrava wristwatch (ref. 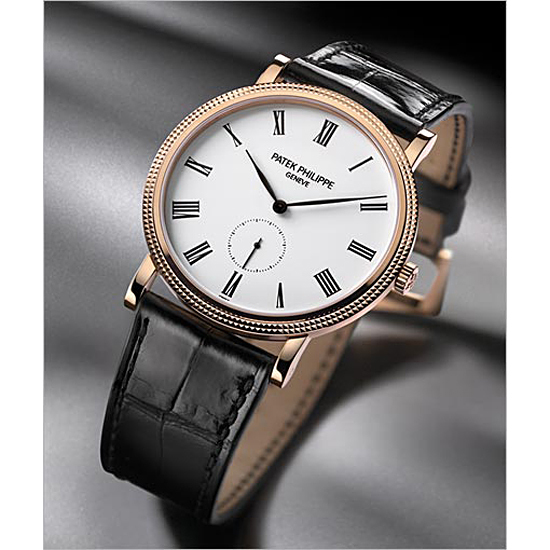 5119R-001) features a mechanical manual winding movement; classic Patek hobnail patterned bezel; white lacquered dial with small seconds subdial; sapphire-crystal, transparent case back; and 36mm, 18k rose gold case on a black alligator strap secured by an 18k rose gold ardillon buckle. 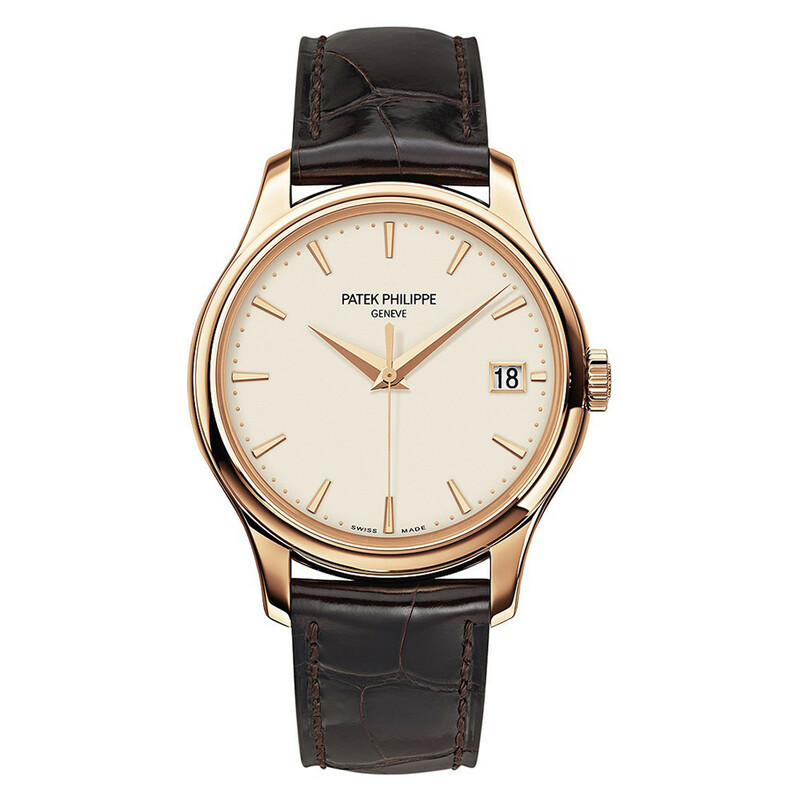 The 5119R-001 is a a new version of the Calatrava "Clous de Paris," one of Patek Philippe's best known watches, and it incorporates the original dial design of the famous Calatrava reference 3919, first introduced in the mid-1980s.